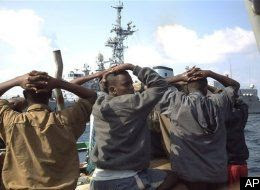 ABOARD THE USS VELLA GULF -- More than a dozen suspected pirates captured in the Gulf of Aden this past week will become part of a test case in a new legal arrangement between the U.S. and Kenya that officials hope will result in trials, jail time and, eventually, fewer pirates. Naval officials have long said they can't stop piracy with ships alone, and maritime lawyers have said jurisdiction issues make bringing pirates to justice difficult. But now, the U.S. and Britain have signed legal agreements with Kenya -- essentially extradition treaties for the high seas -- in which Kenya has agreed to try suspected pirates. The 16 men apprehended by U.S. ships will be the first case under the agreement signed Jan. 16. Since the start of 2008, governments world-wide have deployed forces to counter a surging number of attacks in one of the world's most important sea lanes. Ransoms were paid this year for the release of two vessels: a Ukraine-owned cargo ship seized in September loaded with tanks and weapons bound for Sudan, and a Saudi Arabian oil tanker taken in November. Just last month, Washington created a task force dedicated to fighting pirates. Britain, Denmark, Turkey and Singapore have since joined in, U.S. officials said. Meanwhile, Chinese and Russian navies have been providing escorts for their national shipping interests in the region. The European Union has its own naval task force. All of this firepower has resulted in several thwarted attacks. On Wednesday, this U.S. guided-missile cruiser apprehended seven suspected hijackers who had slapped a ladder to a merchant ship. The next morning, an American destroyer rescued an Indian-flagged merchant ship and grabbed nine more suspected hijackers. Catching these pirates is just half the battle. International law makes piracy a crime, but nations have struggled to figure out where to send suspects and how to gather evidence for cases that occurred in international waters. In September, a Danish ship captured 10 alleged pirates, but ended up landing them back onshore in Somalia. "The big holdup was finding someone who would prosecute international piracy," said Coast Guard Lt. Greg Ponzi, an officer on the task force who usually pursues drug runners in U.S. waters. Bogeta Ongeri, the spokesman for the Kenyan Ministry of State for Defense, said Kenya is eager to cooperate with other nations to combat piracy. But his country is wary of having its courts overwhelmed. "We have taken the lead, but that doesn't mean all pirates will be tried in the Kenyan courts," he said. Kenya has agreed to take only a limited number of cases. Mr. Ongeri said he couldn't comment on the recent arrests, but that the government would decide which cases to try in part based on where the alleged crimes took place. Kenya has provided the Navy with a checklist of evidence required to prosecute, U.S. officials said. Still, Kenya enjoys a good relationship with the U.S. and the U.K., and has a strong court system. Initially, U.S. Navy officials were reluctant to enter the fray. 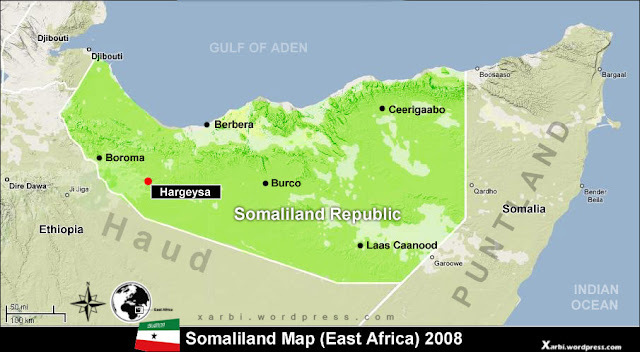 Without fundamental improvements in largely ungoverned Somalia, pirate havens are likely to flourish, they said. Officers said the size of the Gulf of Aden and surrounding waters make it impossible to respond to every attack. Now, flush with some success, commanders seem optimistic. "The task force won't be the final answer but it's one of the key things," said Rear Adm. Terrence McKnight, the U.S. task force commander. "I think we've made significant headway."